This classic 1990 Porsche 944s2 has been donated to Make Schools Safe Inc. (the “Foundation”) for auction. 100% of the proceeds will help support the Foundation’s mission to make schools safe for all, especially the students attending school. The auction supports Make Schools Safe‘s mission of protecting students and teachers at school. 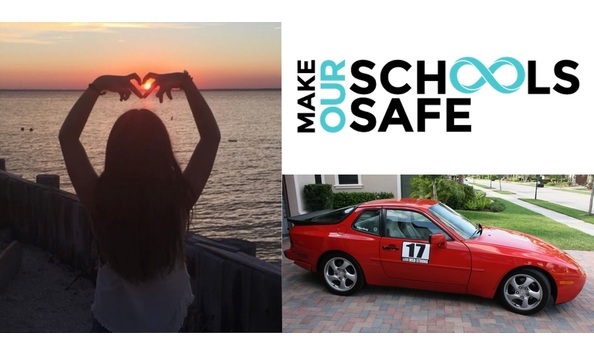 Make Schools Safe was founded by Lori and Ilan Alhadeff, who lost their beautiful 14-year old daughter, Alyssa, to the brutal shooting at Marjory Stoneman Douglas High School in Parkland on Valentine’s Day 2018.